Marta from Mangiare è come Viaggiare is hosting both the English and Italian versions of Weekend Herb Blogging and this week I've taken my inspiration from the classic Italian cookbook Il Cucchiaio d'Argento. 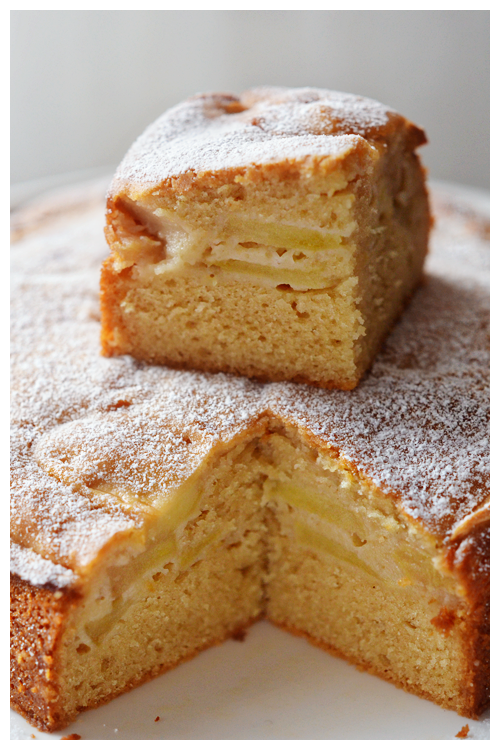 Chock full of apples and yoghurt, this moist cake is the perfect mid-afternoon pick me up. Put the eggs and sugars into a bowl and beat until thick and creamy and doubled in size. On a low speed, slowly add in the yoghurt, followed by the flour and finally the cooled melted butter. Pour three-quarters of the batter into a lined loose-bottomed or springform cake pan (22cm) - scatter the apples slices evenly over the batter and then dollop the rest of the batter over - use a palette knife to lightly smooth the surface. You don't need to be too precious with the top, it won't matter if bit of apple are visible. Bake in a preheated 170°C oven until golden and cooked through - about 60 to 75 minutes. When cooked, let it sit in the tin for a few minutes before moving it to a wire rack to cool. If you can't wait, it's quite moreish when warm.